It’s very likely that you’ve done it yourself. Looking for a company related to an area you don’t know too much about. You go to Google and make a relevant search, and open the first few results in tabs within your browser. Then you click through your new tabs, having a quick glance at your opened sites, before closing those tabs that seem least relevant to what you’re looking for. Now ask yourself – if a user uses this approach for search terms related to your site, how would your own site do? Would they keep your site open, or would be you be closed down within seconds? 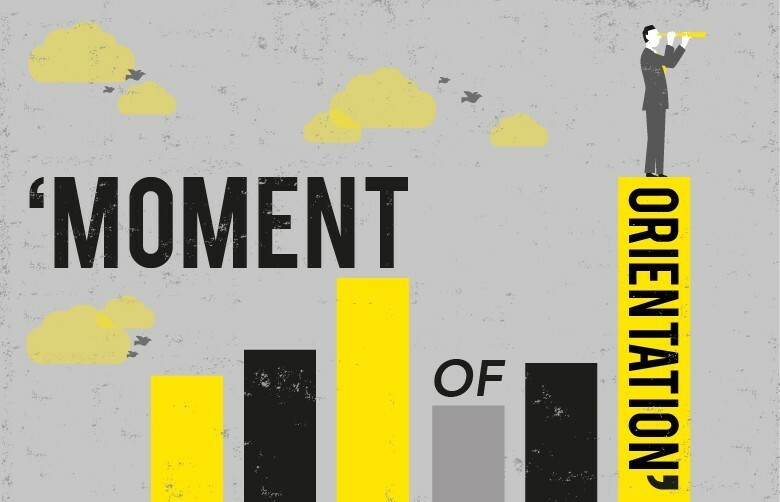 The first few seconds a user sees your website is called the ‘moment of orientation’, and these seconds are the most important part of your relationship with a potential customer. After all, as the saying goes, you don’t get a second chance to make a first impression. If the user gets confused by what they first see, or can’t understand what your company can do for them, then the path to conversion is likely over before it’s even really got started. How can you tell where orientation might be an issue? The easiest way to start to locate potential orientation issues is to look at the bounce rate of your main landing pages. The bounce rate is the percentage of visits that started on a particular page and ‘bounced’ – or left the site without looking at anything else on the site. If your landing page doesn’t communicate your message quickly to new site visitors, then a high bounce rate will be a likely symptom. 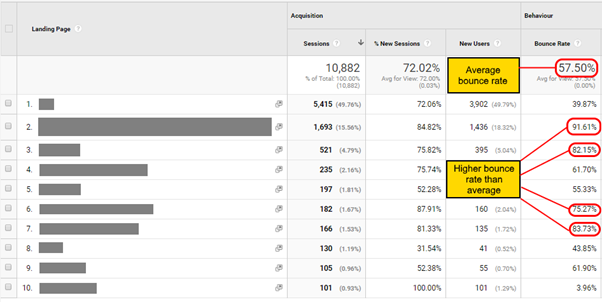 Use Google Analytics to find the average bounce rate for your site for the last three months or so – this can be found on the main Audience Overview report. Note this down, and then look at the Landing Pages report (found within the Site Content section of the Behaviour reporting). Look for your main landing pages, and see what this report says their bounce rate is. Is it notably higher than the overall average? Then you may have found a page with an orientation issue. If you want further confirmation, then it might be an idea to consider carrying out a ‘five second test’. This is a simple way to gauge users first impressions when they see your site. The page is shown to a set of users for five seconds (hence the name! ), and when this time is up, they’re asked a set of questions about what they saw and can remember. Did they understand what your site is for, or what it sells? Did they know what makes your company special or unique? What did they think of your site design? Does your site look trustworthy to them? This gives you relevant feedback specific to your site, allowing you to start identifying the key problems with your page. 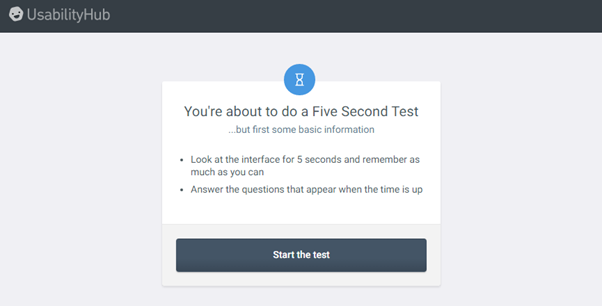 For more information on these tests visit the appropriate URL of fivesecondtest.com, where you can take an example test yourself, look at a sample results report, and even set up your own tests. What must the page communicate? Does your site offer what your new potential customer is after? If it does, how clear is that when they first land on your site? It is essential that a user is reassured that you can provide them with what they want, and that this happens within the crucial first few seconds of their visit – not just after a two-minute video presentation or a fancy interactive animation has completed! The internet is a highly competitive marketplace, and visitors to your site are all too aware of this. So, now they know who you are and what you’re offering, why should they get it from you rather than your competitors? Convince the user that your site is their best option, with clear statements and testimonials of what makes you unique in your field and superior to your competitors. Yes, it’s a lot to try and communicate in a short space of time, and you do also have to ensure you don’t overload the visitor with too much information. It can be a tricky thing to balance. That’s where Further can come to the rescue, with our years of experience in these matters helping determine the best design and content for your landing pages, and ensuring your new potential customers get a clear view of your business from the first moment. Working together with you, we can make sure that the ‘moment of orientation’ isn’t the only moment they spend on your site.